IV sedation is very safe and easy and is recommended for moderate to severe anxiety. Medication is given right into your blood stream intravenously. It works quickly and effectively. Most importantly it is very safe because this form of sedation allows the doctor to adjust medications accurately to provide the proper level of sedation that is right for you and the effects of IV sedation can be reversed quickly if so needed. You will remain awake during your procedure, but you will be in a heightened state of relaxation. You will be able to breathe on your own and will be able to respond to verbal commands. Patients frequently describe the effects of IV sedation as don't know, don't care and don't remember what is going on during the procedure. It is also possible that you will not remember part or all of your procedure afterwards. 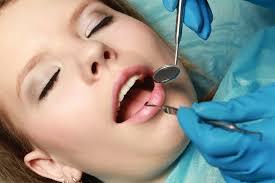 Don't wait any longer to have necessary dental work performed because you are nervous. Ask Dr. McKenzie about IV sedation to see if it is right for you.